Color accuracy went south with the introduction of LED LCDs. Fortunately, the TV industry has made significant strides since then. The latest high-end LED-backlit LCDs—and of course OLED TVs—produce noticeably more accurate color than previous generations. They produce reds that are actually red, for example, and not dark orange. Adobe RGB: A color standard/space implemented to roughly match the spectrum attained by the paper and ink world’s CMYK (Cyan, Magenta, Yellow, and blacK). TV vendors will use Adobe RGB as a point of comparison, which is fine for HDTV; but for Ultra HD (popularly—if not entirely accurately—described as 4K), look for comparisons to Rec.2020. Adobe RGB covers more colors than sRGB, but fewer than Rec.2020. Color space: The range—or gamut—of colors a video display can produce. There are various color-space standards, but the ones most commonly associated with TVs are—from narrowest to broadest—are sRGB from Rec. 709 (from the HDTV spec); Adobe RGB; and Rec. 2020 (from the Ultra HD spec). Vendors will say their TV meets N percentage of X space. 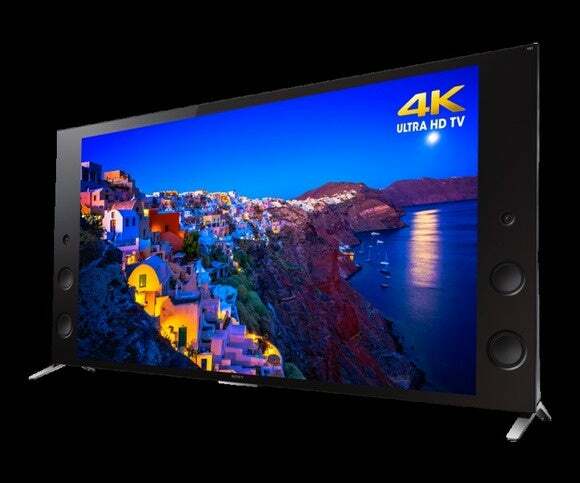 Sony's XBR-65X930C is a 65-inch 4K Ultra HD TV that offers high dynamic range. HSL (Hue/Saturation/Luminance): Another way to refer to and adjust colors. Put simply: hue is the color, saturation is the amount of said color, and luminance (or brightness) is how bright or dark it is. You’ll also run into HSL in some TV color-calibration dialog boxes. RGB (Red/Green/Blue): The three colors of pixels that most displays use in trios to form the other colors in the spectrum. This is done by varying the individual intensity or luminance of each dot in the trio. You may be familiar if you’ve adjusted a TV that uses the reference, or created a custom color on your computer where you’ll have 256 levels (0-255) each of red, green, and blue. Rec. 2020: An abbreviation of ITU-R Recommendation BT.2020, where ITU is the International Telecommunications Union. While Rec.2020 also deals with resolution and frame rates, in terms of color, it is the current definition/target for the spectrum that an Ultra HD (or higher resolution) cinematic display should reproduce. When you hear someone say their TV reaches 98 percent of Rec. 2020, they mean the TV can reproduce 98 percent of the colors in that standard. Rec. 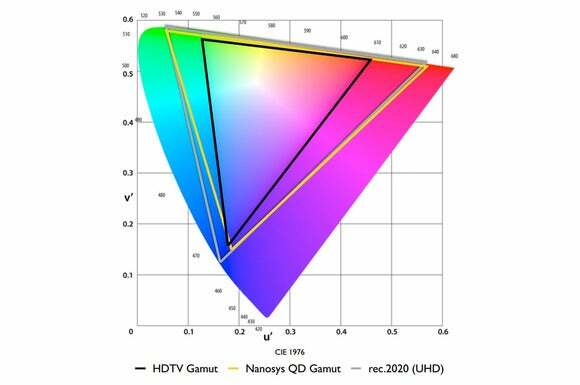 709: The resolutions, frame rates, and other specs for HDTV that encompass the sRGB color space (see below). sRGB: The original color space for computers and color displays and matched by Rec. 709 (HDTV). Slightly smaller than the Adobe RGB color space and considerably smaller than Rec. 2020.